Although Friday was Valentine’s Day for most couples, we were celebrating Gurkan’s birthday since he had been on a business trip over his special day. I was really worried that all the restaurants would be booked and when I left work, I still hadn’t made a reservation. We were going back and forth about where to go (Gurkan mentioned Canim Cigerim, and I told him we should go somewhere a bit more special for the occasion), so I suggested that we check out the Istanbul Culinary Institute. Gurkan had called earlier and no one had picked up so I feared the worst – that they would be swamped with starstruck couples. Luckily, they weren’t. We walked in and the host was able to find us a seat tucked away by the bar. Perhaps, not a prime spot by other people’s standards it actually turned out to be quite nice because we were able to ask for wine recommendations from the bartenders. We also had the back corner all to ourselves which saved us the misery of sitting next to the overzealous, extremely loud tables of American tourists (not resident foreigners – we learn to keep our voices down) sitting in the front of the restaurant. Everything on the menu looked absolutely delicious. Right when we sat down, the waiter brought a selection of bread with olive oil. 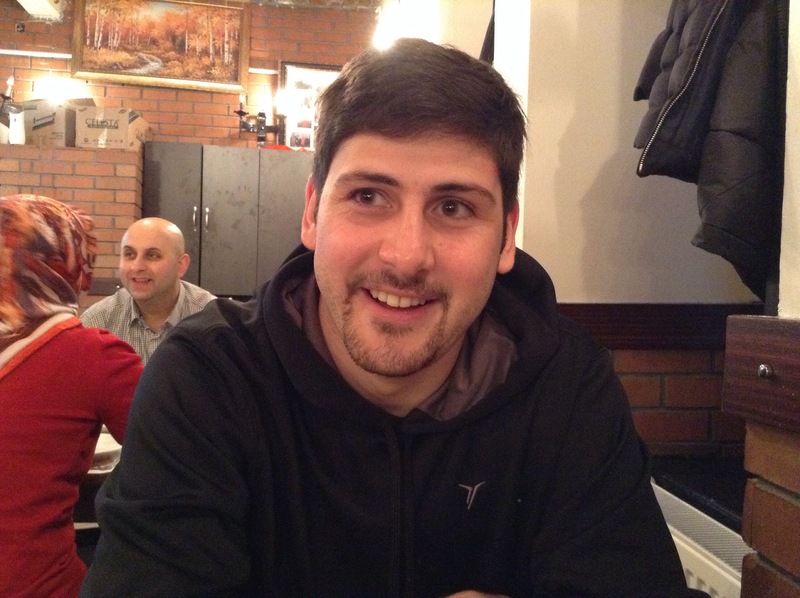 Gurkan couldn’t get enough of the corn bread and kept saying how great it was – coming from someone from the Black Sea that is quite a compliment! 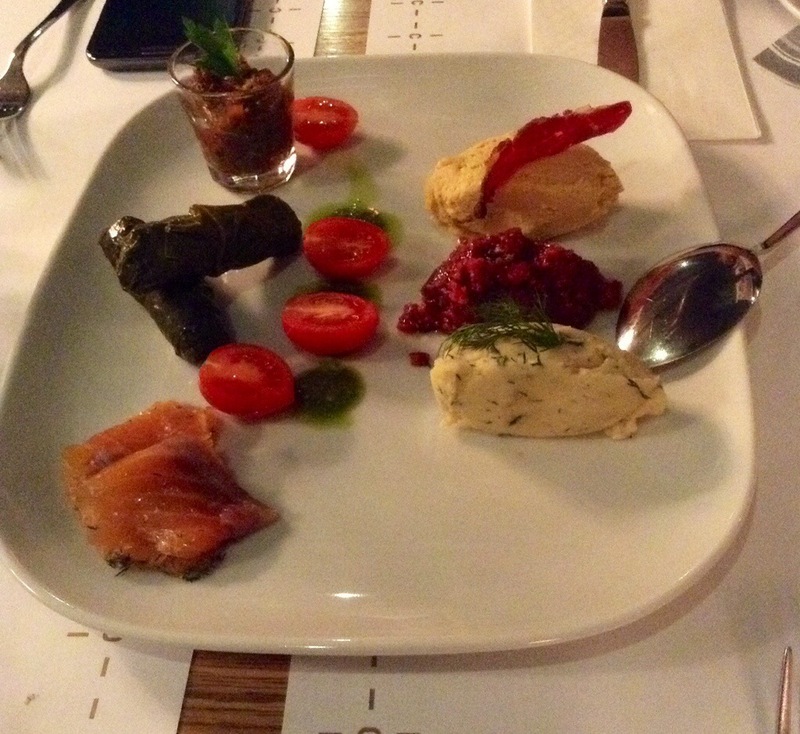 For our appetizer, we chose a meze plate with ezme (spicy side salad), hummus, beet salad, potato with dill, sarma (stuffed grape leaves), and salmon. Everything was unbelievably tasty especially the hummus and ezme. Although old favorites, there were prepared so well and different enough that it was as if we were trying them for the first time. Honestly, I think the hummus was one of the best I’ve ever had – it was very thick and not oily at all. The sarma were of the sweet variety and perfectly seasoned. The salmon was spot on. Each spoonful was a completely new tasting experience. 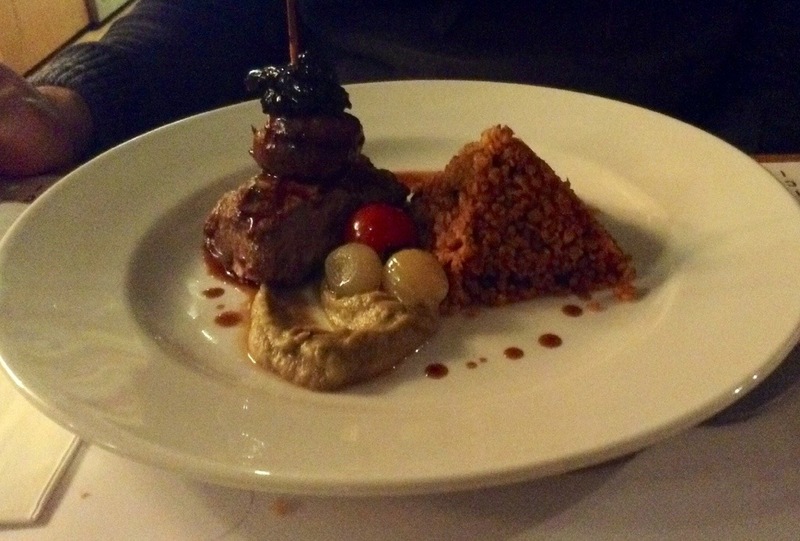 For the main meal, Gurkan chose the lamb karsky – a lamb dish topped with a lamb kidney served with bulgar pilav and roasted eggplant puree. 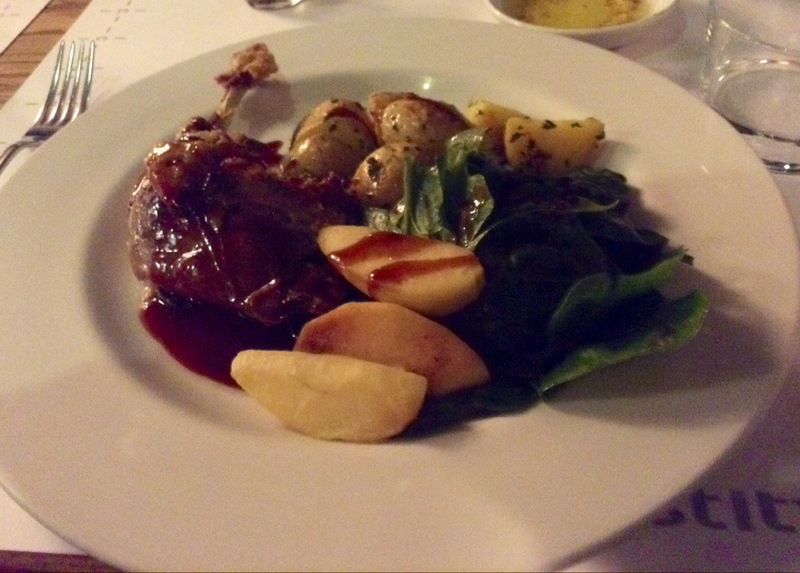 I opted for the duck in pomegranate sauce with roasted potatoes and caramelized apples. I had a hard time deciding between that and the lamb stew with quince which also sounded delectable. We both ended up being extremely pleased with our selections. I did think the duck was a bit salty but tasty nonetheless. It made me nostalgic for all the great duck places in Portland (duck fat fries at Duck Fat & duck nachos at Grace)! Gurkan absolutely loved the lamb kidney and said it was the best part of the whole dish. Although I refrained from trying the kidney, I thought the lamb steak was cooked nicely (was that a little bit of pink I saw?) and the roasted eggplant puree was out of this world. 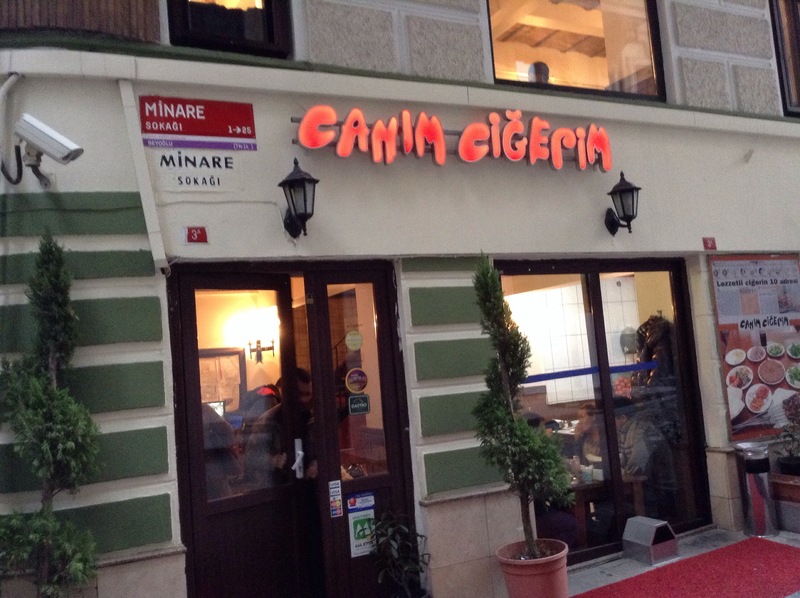 The service was quite good – the waiters weren’t overly attentive, but most importantly, we never felt pressured to hurry up which is often the case in Istanbul. We continued sipping our wine long after we finished our main dishes and probably could have stayed there all night had we not decided to move on. The place is perfect for a special occasion and I’d definitely recommend ordering an appetizer ahead of time if you’re tummy is hungry! 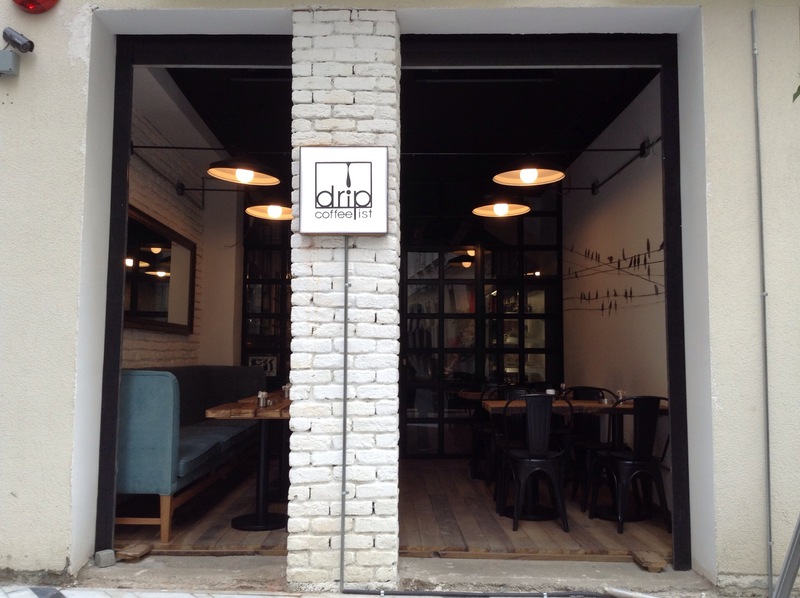 They have dessert too – I’m already looking forward to trying the homemade rose and fig ice cream next time I visit. 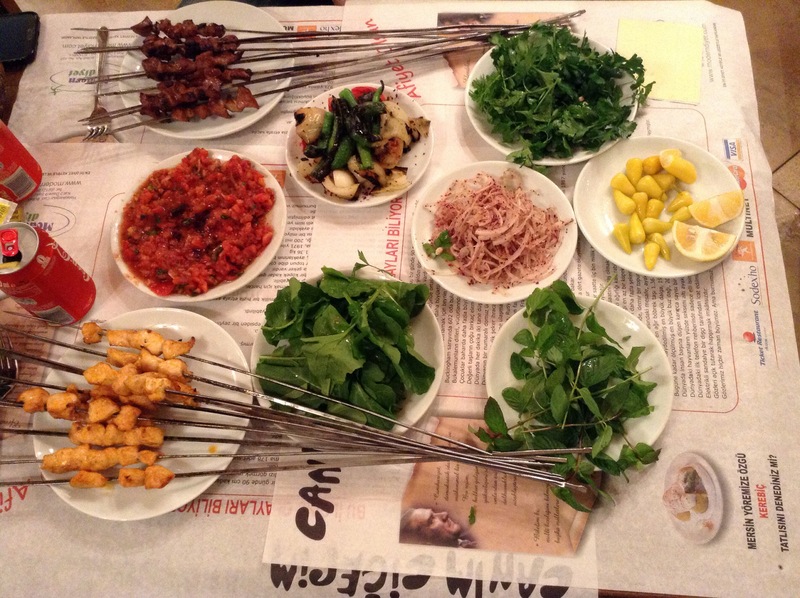 The Istanbul Culinary Institute also offers recreational cooking classes. How fun would that be! ?